Following on from announcement of Google’s Project Glass eyewear unveiled earlier this year, and recently demonstrated at the Google I/O developer conference. Olympus has this week unveiled there new display eyewear prototype named the MEG4.0. The Olympus MEG4.0 has been designed to connect to our devices via Bluetooth and is equipped with Olympus’s in-house “proprietary optical technology”. The MEG4.0 is equipped with a QVGA 320 x 240 display and is able to provide a users with eight hours of use on a single charge. Using a features called “intermittent display” mode which switch on the device every three minutes for 15 seconds. 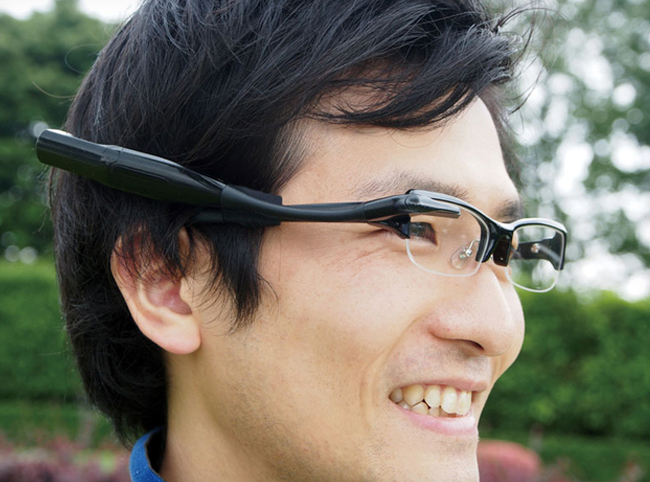 Other features within the Olympus MEG4.0 include the addition of an accelerometer that the device can use to measure the movements of the wearers head, in a similar way to Google’s Glass Project.